Harold Geronimo, AVP and Head of Public Relations and Media Affairs of Megaworld, and Rachelle Penaflorida, Vice President for Sales and Marketing of Megaworld Bacolod, present the artist’s rendition of the Northill Town Center during the Bacolod media and blogger event. 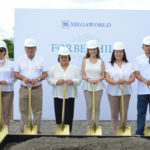 Megaworld, the country’s largest developer of integrated urban townships, is starting the construction of Northill Town Center — a commercial town center on the Bacolod side of the rising 53-hectare Northill Gateway township that the company is developing in Negros Occidental. Occupying around 7.5 hectares, the Northill Town Center will be a sprawling horizontal commercial development composed mostly of stand-alone two-storey structures of retail shops and dining establishments, surrounded by landscaped parks and open spaces that will soon become a tourist attraction of the city. The town center will be accessible along the Bacolod-Silay Airport Access Road. It will feature a central plaza, an events venue, a supermarket, and wellness and sports facilities. Since this commercial district is along the way to the airport, it is but fitting to add pasalubong centers featuring local Negrense delicacies. Travelers can stop over, have their photos taken, and shop for pasalubong items, too. 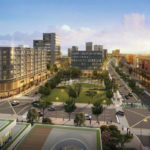 Around a third of the entire commercial development will be devoted to green and open spaces (slow clap, as I am a proponent of greening the city some more). The town center’s central plaza will be highlighted by unique water features while an iconic chapel will also be built to serve as a major landmark for the township. The development’s architectural features will be mostly modern contemporary with organic wood and brick accents to infuse a countryside feel–just all the fine things. “We are excited to build the first-ever commercial development along the Bacolod-Silay Airport Access Road, which is Negros Occidental’s tourism highway. 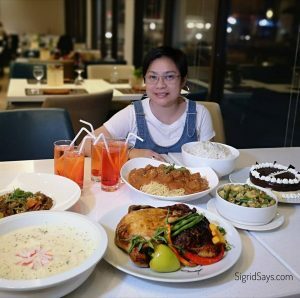 The Northill Town Center will certainly become a destination not just for tourists and visitors of the province, but also for Negrenses who want to unwind and relax from the busy city life. This development will be a refreshing take of the brand of ‘lifestyle mall’ Megaworld is offering in its various townships that is now accessible to the people of Negros Occidental,’ says Kevin L. Tan, senior vice president and head of Megaworld Lifestyle Malls. Northill Town Center by Megaworld will feature lots of open spaces and green areas. The construction of the Northill Town Center will start early 2017 and is expected to be completed by early 2018. 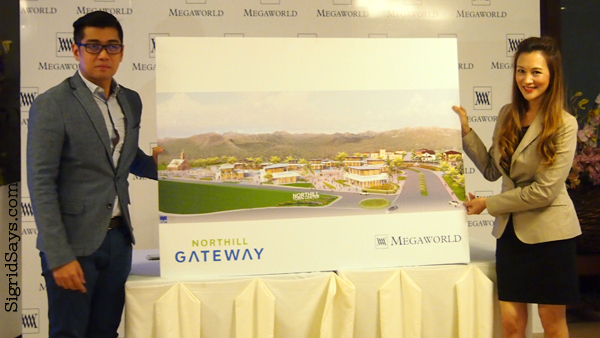 Northill Gateway is a joint township development of Megaworld and its wholly-owned subsidiary Suntrust Properties, Inc., in partnership with the Lacson Family. 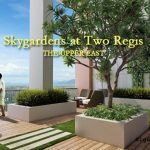 Megaworld is now constructing Forbes Hill, the township’s most upscale residential village outside of Manila. Meanwhile Suntrust is building Fountain Grove, another themed residential community. 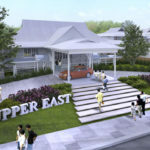 Last year, Megaworld announced that it is investing P35-billion in the next 10 years to develop the Northill Gateway and The Upper East, another upcoming township at Bacolod’s east side.